Whether you're a blogger or a small business owner, it's always a good idea to plan ahead. 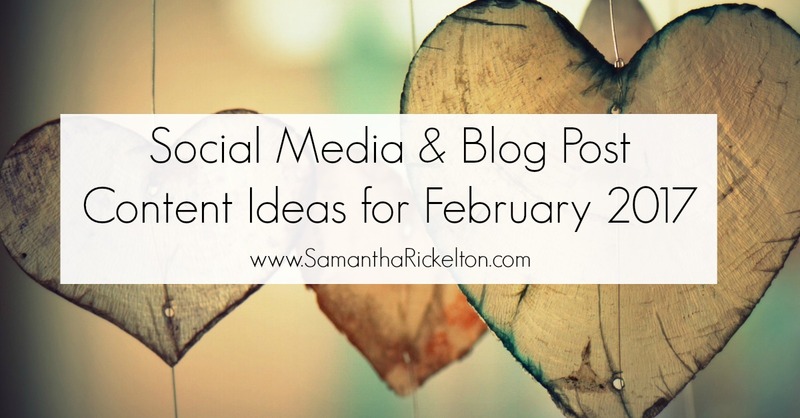 I like to plan key blog posts 6-8 weeks in advance and this list of key events in February is a fantastic base for planning your social media. I advise sitting down for 30 minutes and slotting in some social media activity around these events. You can plan weeks in advance and then you're done. It's a nice way to get creative too. Do you rely on local customers/readers? You could ask your Facebook followers where serves the best Yorkshire Puddings as part of Yorkshire Pudding Day or how about asking for book recommendations or recommending a book around your business on National Libraries Day? Thanks Samantha - this is so helpful. I'm pretty good at scheduling and suggesting posts for clients, but really need to look further ahead for my own plans.